Autismunlocked.com provides a platform for users to participate in meaningful learning activities and be rewarded for participation. Our end goal is for users to independently navigate the website and understand the concept of working towards a reward. 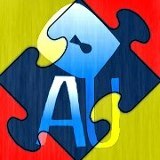 Autismunlocked.com provides a variety of leveled learning activities and incorporates motivational rewards. Autism Unlocked has developed a conversation simulation to help improve the social skills/conversation skills of individuals with autism. The conversation simulation is called Talk to Learn and will be available on www.autismunlocked.com in the near future. Talk to Learn will be the first conversation simulation of its kind. Talk to Learn is a fun and motivating program and users will learn basic conversation skills while having fun! Talk to Learn will offer 25 levels of conversation ranging from simple greetings to answering 3 part questions. Talk to Learn users will be able to talk to three different animated characters. The characters will ask the user a question and the user will have to respond to the question by typing an answer. We are working hard to have the user be able to respond verbally via a voice recognition system. Requiring users with ASD to verbally respond to the program is very exciting. Autism Unlocked believes individuals with ASD needs lots of repetition before they can successfully master a skill. Talk to Learn was set up to have users repeat basic conversational skills while having fun! Requirements: Adobe Flash – it work on all tablets except apple. My name is Scott Jongekrijg and I live in Traverse City, MI. I am an ASD teacher in a self-contained classroom here in Traverse City. I have been teaching in an ASD classroom for the past 7 years but I have well over 10 years of experience working with a wide variety of disabilities. I have the credentials to start Autism Unlocked but I believe there is a deeper passion at work. I have always had a connection to the world of special education even before birth. Most special educators have a sibling, family member, or a close connection to someone with a disability. There is always a unique story or a connection among us special educators because as we know, being a special educator, takes a lot inner strength, determination, and is truly a special calling. So my personal connection to special education was growing up with a disability myself. I was born with cerebral palsy and I went through a lot of therapy as a young child. Luckily, I had a mild form of cerebral palsy but it does impact the entire right side of my body even to this day. If you were to see me walking down the street you would not notice, but with close observation the effects still remain. Today the physical effects of CP don’t linger because I am an active and very able bodied person. The psychological effects are something that will always stay with me to this day. As an adult it is a lot easier to process, self-reflect, and manage negative self-talk. I think it just comes with maturity. There is not a day that has gone by without some form of inner reflection within me about living with a disability. It is still difficult and a topic I prefer to avoid talking about it…so enough talk about it for now! I will revisit it in later blogs. I believe the biggest part of my maturing is realizing I can use my disability as an ability and my ability is my passion for special education. My background as a professional in special education formally began after I graduated from Calvin College in Grand Rapids Michigan. I graduated with a degree in Therapeutic Recreation and gained a lot of experience with different disabilities throughout college. More important than the experience was feeling the natural passion and natural skill sets I had for working in the field. After graduating from Calvin College I took a job at a residential treatment facility and worked with at- risk juvenile delinquent youth. I worked at the residential treatment facility for 3 years and I gained a lot of experience with emotional impairments and treating severe behaviors. During this 3 year period, I went back to school to get my special education degree and special education certifications in cognitive impairments and emotional impairments. At this point I made a big life change and moved from Grand Rapids, MI to Traverse City, MI. I took a special education job in Traverse City teaching a self-contained classroom with a mix of students with severe cognitive impairments. The classroom was housed in a building with an ASD program and this is where my passion for ASD began. I was asked if I would like to teach in an ASD classroom and I started working on my ASD certification. So for the past 7 years I have been in a self-contained classroom with 10-14 year old students. I have truly enjoyed the past 7 years in the ASD classroom but there was always something else on my mind. Over the past few years I have had a yearning that I was meant to do something bigger within the ASD field. I have tried to ignore it, fight it, pursue it, ignore it some more, and now I found my true passion. Would love a subscription! I have two boys on the spectrum and they have friends on the spectrum too! I am a teacher at ES le Grange school in Potchefstroom, South Africa. 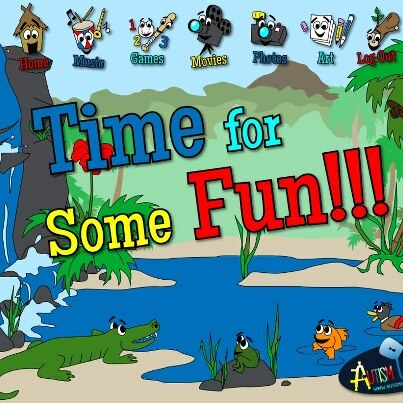 I am working with autistic children and would love to get a subscribtion to help the kids in my class. Most of the children in my class parents can afford schoolfees and it will never be possible to get this kind of help for their children. I would realy appreciate it if I can use this app to help them.